Professional clamp-on meters for industrial use. Measuring range up 2000 A, TRMS. Possibility to measure power quality parameters. 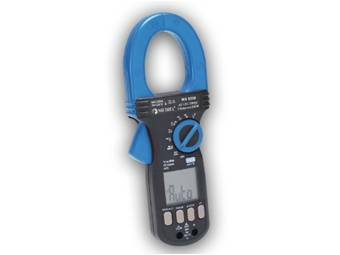 MD 9272 is a unique earth leakage clamp meter. It not just has the ability to accurately read the TRMS AC leakage current of a system, it can also detect losses in the system and suggest possible reasons for the loss. 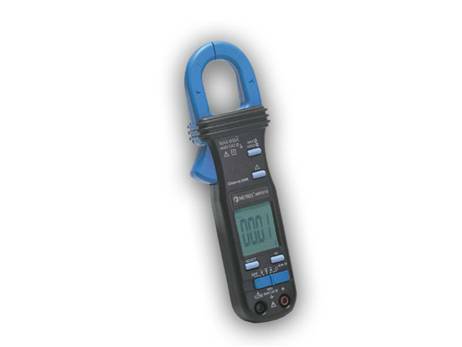 The voltage (AC/DC), frequency, power, harmonic, power factor (PF), total harmonic distortion (THD) and crest factor measurements make this instrument suitable for any electrician and engineer. The MD 9250 is the first Clamp Meter that meets over voltage category CAT IV 1000 V. MD 9250 is a high quality clamp meter specially designed for single-hand operation, built-in measuring functions; TRMS AC/DC (current, voltage), capacitance, temperature and full range resistance makes this instrument an ideal tool for the most demanding applications in the industrial sector. The large jaws capacity of (max. 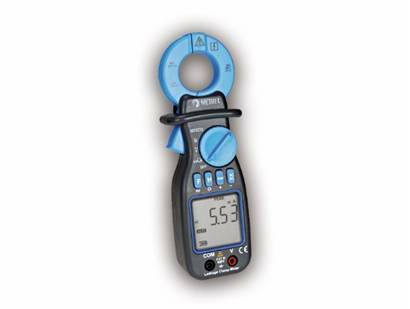 55 mm) in diameter allows AC/DC current measurements up to 2000 A. High resolution and accuracy, 2-line LCD display fast data acquisition and transfer (via optical interface), non-contact voltage detection, and auto-check function are highlights of the instrument. The MD 9240 is a high-quality and extremely easy to handle power clamp meter. The current clamp enables TRMS AC current measurement up to 1000 A, single-phase power analysis, DC, AC voltage measurement, temperature measurement and more. 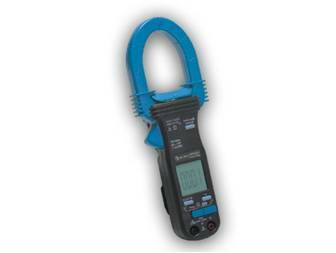 The MD 9235 is a Slim-Jaw current clamp meter with ability to measure 3-Phase Unbalanced-Load + kWHr recording. The MD 9235 enables TRMS AC current measurement up to 600 A, single and 3-phase power analysis, total power factor and resistance measurement. Display with large easy-to-read figures and one-handed operation make MD 9235 an extremely easy-to-use. This compact instrument combines a high level of functionality, small size and portability. All built-in features make MD 9235 a perfect tool for advanced Power applications. The MD 9225 is a versatile current clamp meter with perfect combination of size and built-in functions. It measures AC/DC current and voltage, capacitance, temperature, full range resistance and captures In-rush current. Display with large easy-to-read figures and one-handed operation make MD 9225 an extremely easy-to-use. 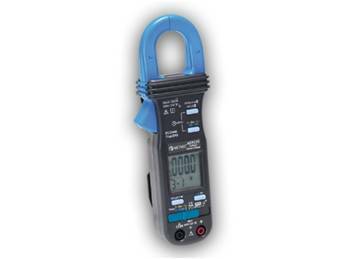 MD 9220, the professional current clamp with TRMS measurement and wide jaw opening, enables current measurement up to 2000 A. This current clamp, using state-of-the-art measurement technology and housed in a sturdy industrial-grade case, represents the ideal choice for the works electrician. MD 9210 Versatility, sturdy case, high accuracy and lots of measurement functions are key features of the current clamp MD 9210. If you’re looking for a universal current clamp offering good value for money.